Denim c/o J. Jill, old but these are on super sale, love the rips! All white any time of year is quite fine in my opinion. While I may have said it a few times over the course of my life I've never really adhered to the adage of 'no white after Labor Day'. In fact, all white after Labor day or any time of year, especially for Fall, when darker hues rule is especially perfect, in my opinion. 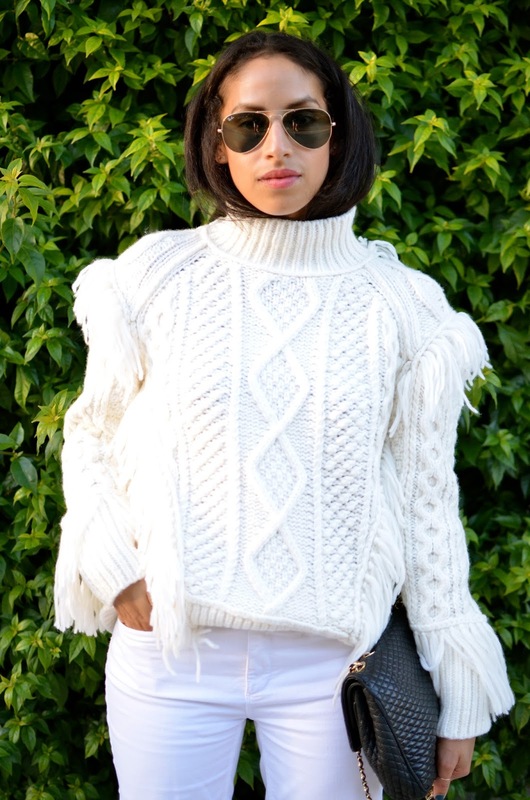 This chunky fringe turtleneck is a standout piece, the quality and feel envelop you and really play to the theme of the season, and the excessive fringe additions are obviously my favorite part. Since the turtleneck is such a strong piece I wanted to tone the look down by wearing mostly light neutrals with strong pops of black, and my hair just begged to be tucked in just so. What do you think, would you wear this turtleneck? If so how would you style it? Obsessed with this whole look. I love the dramatic sweater paired with a simple pant. Of course, the winter white is just killing it. Love! get it girrrl! 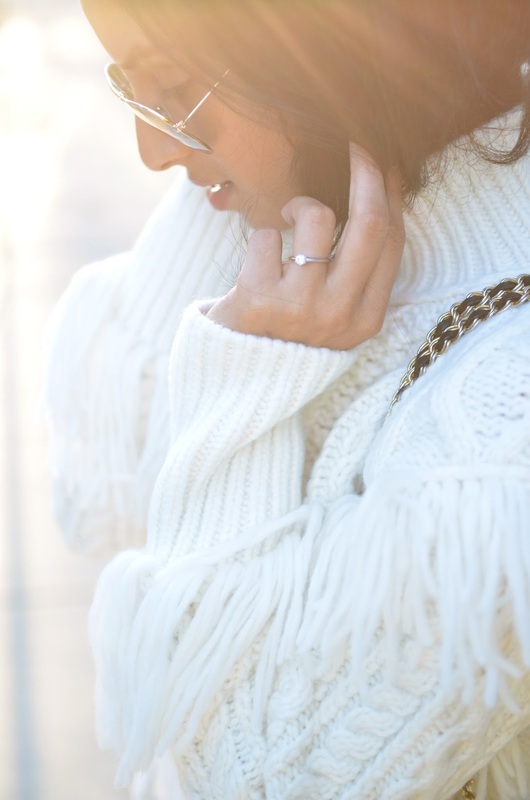 you own this all white look! That fringe detail is perfection!